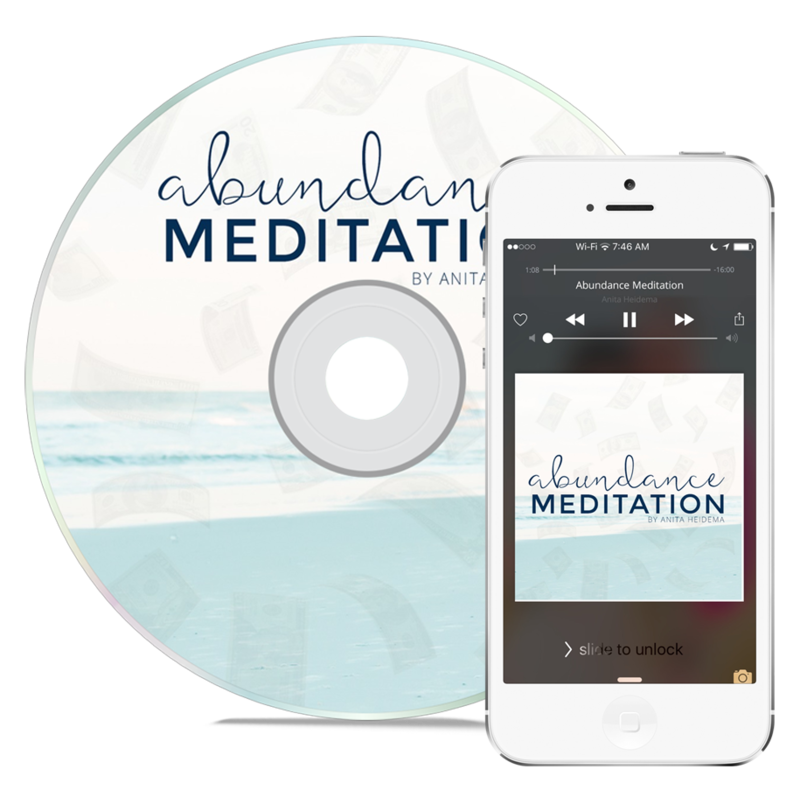 The Abundance Meditation was written and designed by Anita Heidema to attract more abundance in to your life or business. This could include money, relationships, success or whatever you want more of because you feel you are lacking. Listen to this each night for greater impact in bringing abundance to your life. TIP: Always write down your abundance goals to support your thoughts, effort and journey. WANT MORE THAN JUST A MEDITATION? SEE ALL THE WAYS TO WORK WITH ANITA.